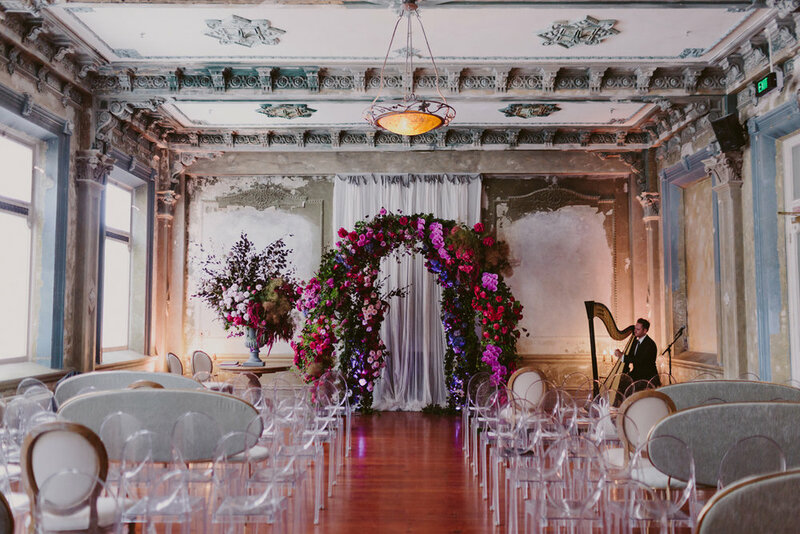 Prepare to fall in love all over again with our heritage listed ballroom. Capable of hosting up to 150 guests for a sit down dinner (complete with dance floor) or up to 200 guests for stand up cocktail functions, our unique wedding venue is the perfect place to bring all of your favourite people together for your special day. Our experienced team understands that every wedding is unique, and have the skills and knowledge to ensure your wedding goes off without a hitch. Get in touch with us today to arrange an inspection. Please fill in the below form or get in touch with us via phone or email to discuss your wedding requirements.